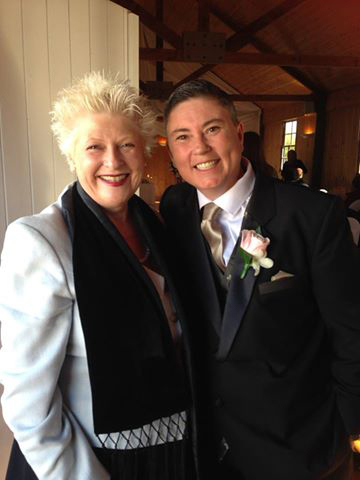 Susan Artup is a straight woman with a 45-year connection to the gay community and is delighted with the recent change in marriage law. She has been a civil celebrant since 1995 with “ A Ceremony by Design … true to your relationship…”, defining her approach to commitment. Susan has done it all – complex traditional rituals, “ short and sweet” legalities, alternative ceremonies… all reflecting the personal style of her couples and capturing the tone they wish for. While a Commitment ceremony is fine, and just as personal and just as moving and just as meaningful in sentiment and intention as a legal ceremony – a rose by any other name is not as sweet, unless it is your conviction to eschew the institution of marriage in the first place (as many straight and gay couples do). A marriage starts in the heart, and straight or gay, Susan will honour the celebration of your commitment and the expression of your vows. For a personal conversation, call Susan on 0408 826 743 or send me a message.